How do I remove the Powered by Blogger from my Blogger blog in the new blogger interface? 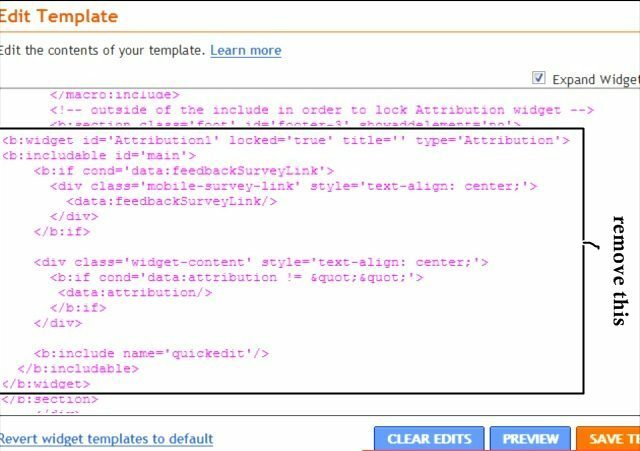 In order to remove you will need to edit the blogger template and delete the attribution widget in the new Blogger interface. 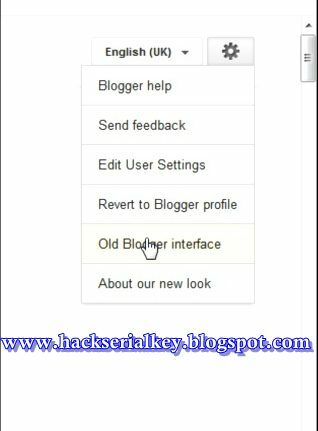 If you are using the old interface, please read this post on removing Powered by Blogger in old Blogger interface. 1. Click on the Template link in the left navigation menu. 4. Remove the following highlighted code. 5. 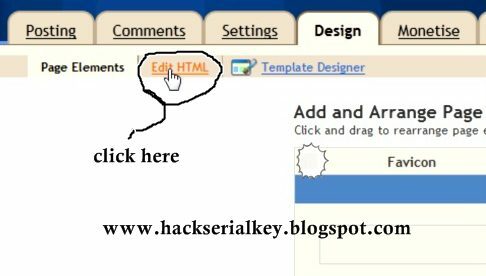 Click on Save Template Button. 6. A warning is displayed.Click on Delete Widgets and click on Save Template Button. Your computer holds some of your most important—and private—information, so we’ve written down the 10 top safety computer tips that help you keep your computer and your information safe. Some tips are very common but are often over looked.Here I specify the very basic of securities required for a computer without which leaves the computer vulnerable to malware attacks and also hackers. Anti-virus software is your best protection against the worst kind of computer problems—viruses. Although most viruses spread through email and Internet downloads, some spread directly through the network and other spread through USB disk drives.There’s too many ways for an virus to get on your computer for you to try to guard against all of them, so the first step you take to secure your computer should be to install good anti-virus software. But even more important than installing the anti-virus software is keeping it updated. Most anti-virus software will update itself—just make sure you don’t disable updating in the configuration or go too long without connecting to the Internet. Anti-virus software can only protect your computer against known viruses. Hackers are writing new viruses everyday, so its important to also follow the rest of the tips in this article to keep yourself safe. The easiest way for hackers to install malware (bad programs) on your computer is by convincing you to install them yourself. Most malware on the Web hides as small but useful-sounding programs. For example, new screen savers, new chat applications, and minor desktop improvements. The software you thought you were installing quietly installs a few extra programs you didn’t ask for. Some of these programs display ads, some of them report details about your computer to hackers, some of them may even open ports—short for portals—that allow hackers to access your computer. It’s hard to tell which software is legitimate and which software is genuinely useful, but if you have any doubt about a program, it’s best left uninstalled. Do you trust your mother? Of course you do, so why wouldn’t you download the attachment she sent you in her latest email? Viruses know that people trust their friends and family, and they often exploit this by sending rouge emails containing viruses to unsuspecting users. It’s not that your mother would ever intentionally try to infect your computer with a virus—she doesn’t know the attachment she sent you contains a virus. A specific type of hacker called phisers also use fake emails from respected Internet companies to try to get your passwords. After they get your password, they’ll try to use it to empty your online bank accounts. All of this means only one thing: don’t trust email. Don’t download attachments unless they’re in in a safe file format. Don’t click on links in your email and enter your password. With the state of email today, it’s ok to be a little paranoid. There are a few things for you to do to try and stop spam emails, but again it takes common sense mostly. Is there something goofy about your computer? Is it running slow? Are you getting strange error messages? Is your ISP complaining that you’re sending too many emails? All of these problems need to be investigated. Viruses often use your computer processing power for evil, making your computer run slow. Viruses often try to hide among other programs, causing strange error messages. Viruses often send spam emails, making your ISP complain. If you see a problem, start investigating it and don’t stop until you figure out what the problem was. Otherwise you risk letting a small virus install bigger, worse viruses. In a household or office where many people share computers, everyone is at the mercy of everyone else. No matter how safe you try to keep your computer, anyone else with administrator access can install a virus-infected program. In these multi-user environments, it pays to restrict administrator access to only the users who know how to keep the computer safe. In fact, I suggest you create just one administrator account for each computer and then give every user their own non-administrator account. Only when you need to install a program or change a setting should you use the administrator account. For everything else, you should use your own user account. This helps avoid the situation where you accidentally leave your administrator account logged in and the next person on the computer uses it to accidentally download a virus. A couple weeks ago shortly after a thunderstorm, I heard fire sirens down the street from my house. There had been a giant nearby bolt of lightning and the power was still out, so I went to investigate—one of my neighbors’ houses was on fire. It was tragic. I don’t know how much they lost, but it made me think of what I’d lose if my own house caught fire. I realized that many of the things I’d miss most were stored on my computer. So, as soon as the power returned, I double-checked that my backups were still running as expected. I checked all my external hard drives and other backup storage devices I use. Nothing can keep your data safer than backing it up. We’ve covered several great easy-to-use backup solutions in other articles, and we still recommend Mozy for affordable complete backups. They offer free 2Gb storage and promise better security. Kids these days grow up with the Internet, and that means they’re exposed to all of the Internet’s less savory aspects from an early age. It’s easy enough to install some parental control software and then assume that your kids are safe—but they’re not. If there’s one thing I’ve learned about kids, it’s that they’re ingenious little buggers. Worse, your kids probably know your computer better than you do. No mere technology is going to stop them from getting into trouble. The best way to keep your kids safe is to watch them when they browse the Internet. That may sound hard, but it can be quite easy—just put the family computer in the room where you or your spouse spend most of your time—for example, the kitchen or the living room. You may also want to check the kid’s Web browser logs, but beware—if the kids know you do this, they’ll find ways of removing entries. A better method would be to check the hostname access logs on your router, but again, a crafty kid will eventually figure out how to fool even that. You’ve probably grown used to reading in computer news how such-and-such big site has been hacked and all of its usernames and passwords were stolen. It may not seem terribly important—after all, most sites don’t store any financial information. But hackers know that most people use the same username and password for different websites. John Smith very likely uses the same password for his Yahoo! email account that he does for his PayPal account. Minutes after breaking into Smith’s email account, the hackers could use PayPal to empty his bank account. Each site you use should have a different password—or, at the very least, you should use a different password for each site with access to your financial information. Protecting your online accounts is extremely important so do not neglect this! Even if you work really hard at avoiding viruses and other malware, you should prepare yourself for the chance that one will make it onto your computer any way. Backups protect your files from being deleted, but what protects your sensitive files from hackers? To secure your files against hackers and other prying eyes, I suggest the free TrueCrypt encryption software. There’s a big difference between good and bad anti-virus software, but the same isn’t true of firewall software. Even the free firewall that comes with all recent versions of Windows will fully protect your computer against automatic network virus attacks. Just make sure you turn it on in the control panel. If your anti-virus software comes with a firewall, I suggest you use that instead—not because it’s better, but because it will probably be easier for you to use. And keeping things simple is its own safety computer tips.